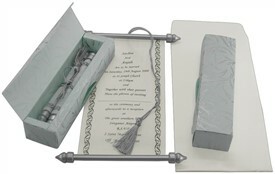 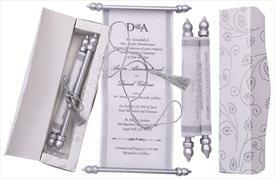 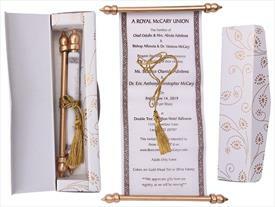 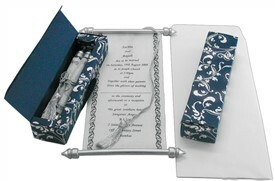 S378, Blue Color, Scroll Invitations, Jewish Invitations, Small Size Scrolls. 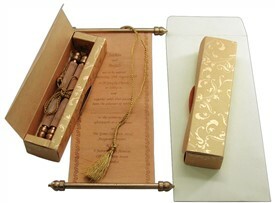 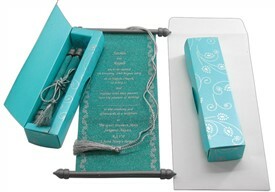 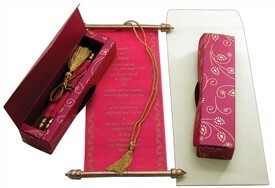 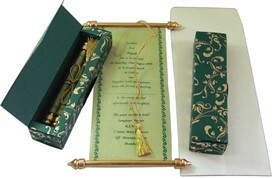 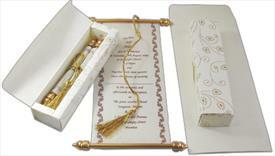 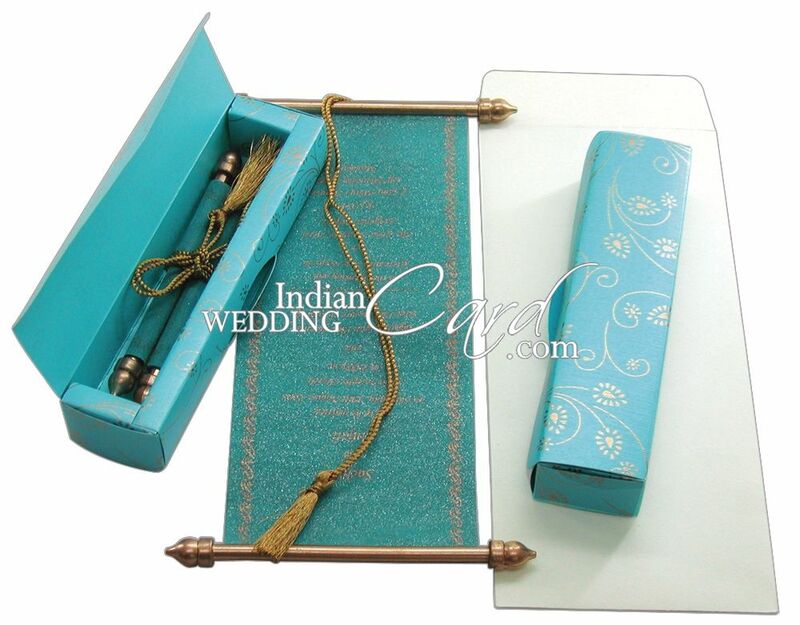 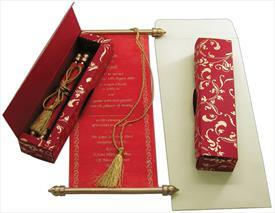 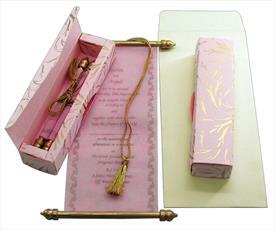 Box on Turquoise color Shimmery finish card stock paper (250gsm) . 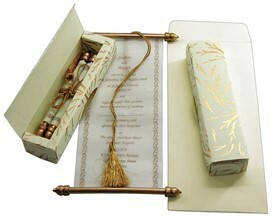 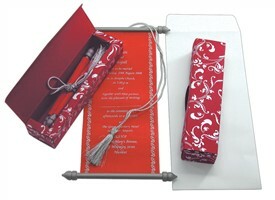 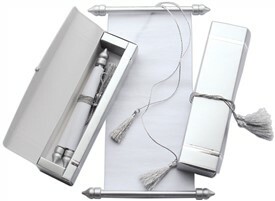 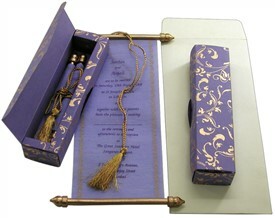 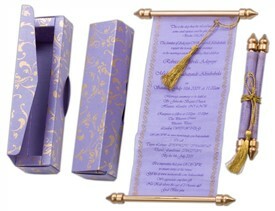 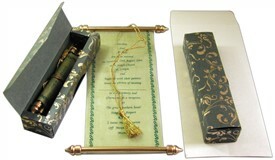 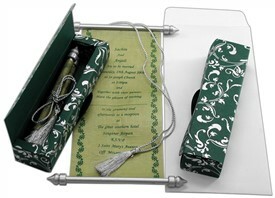 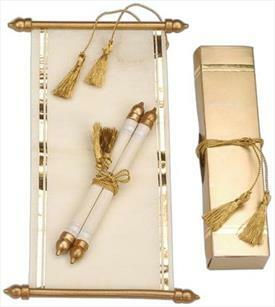 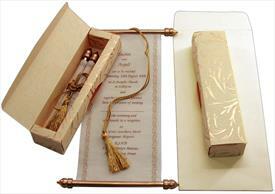 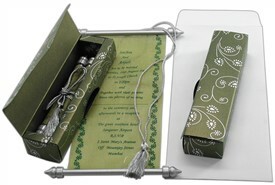 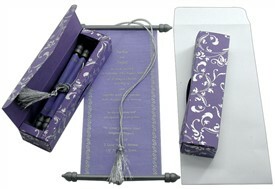 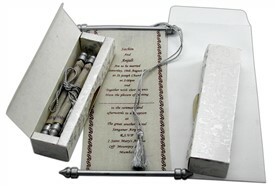 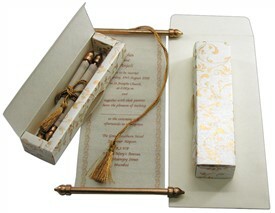 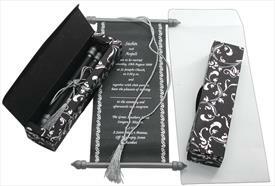 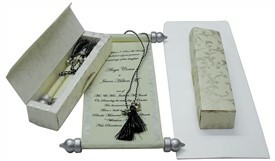 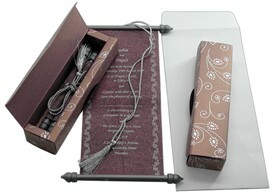 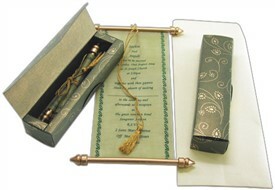 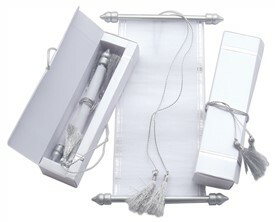 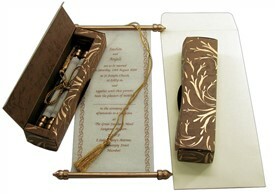 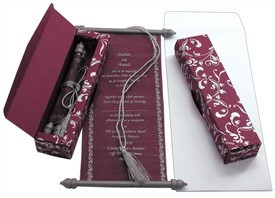 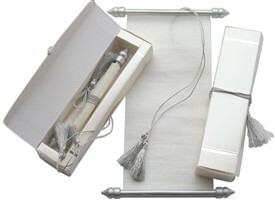 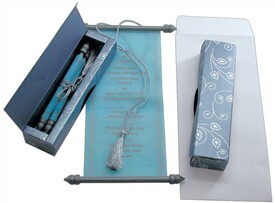 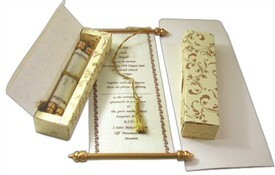 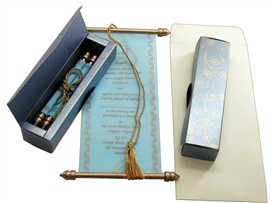 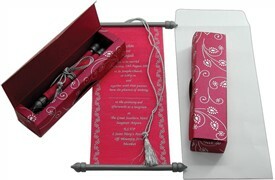 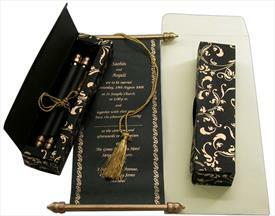 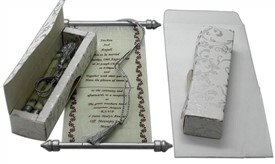 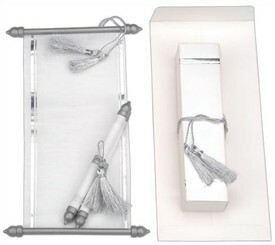 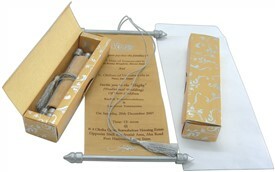 Scroll on Deep blue shimmery finish translucent paper (50gsm) and Cream paper (100gsm) Mailing envelope.